“Detroit,” released on 3,007 screens in North America, took in roughly 30 percent less than box-office analysts had predicted before release. Ticket buyers gave it an A-minus in CinemaScore exit polls. “Detroit” is Ms. Bigelow’s first feature film in five years and stars John Boyega, Anthony Mackie and Will Poulter. Mark Boal wrote the screenplay. 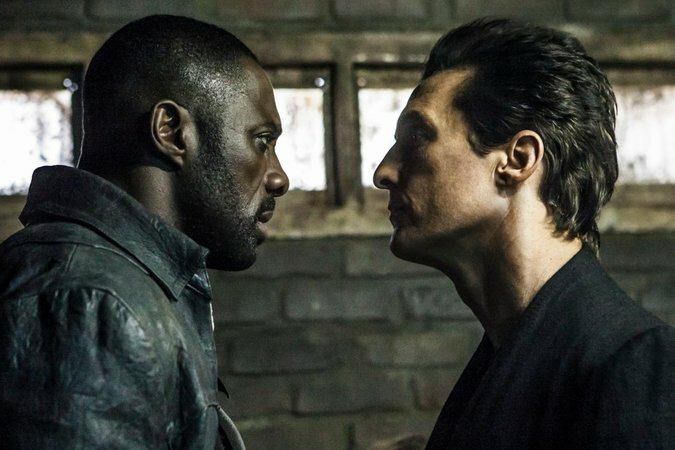 Idris Elba, left, and Matthew McConaughey in “The Dark Tower,” which took the No. 1 spot. “We wish more people would have shown,” Erik Lomis, Annapura’s president of distribution, said by phone on Sunday. As theaters reported underwhelming turnout for “Detroit” throughout the weekend — the film arrived in eighth place — rival producers privately questioned Annapura’s rollout strategy as too wide too fast. Other people in Hollywood applauded Ms. Ellison for giving substantial backing to an important filmmaker who wanted to tell an important story. For its part, Annapurna positioned the “Detroit” results as just the beginning. The poor box-office results for “Detroit” do not necessarily dash any Academy Award hopes that Annapurna may have for the film, which received overwhelmingly positive reviews. “The Hurt Locker,” released in June 2009, only took in about $20 million during its entire theatrical run. But that film, directed by Ms. Bigelow from a screenplay written by Mr. Boal, went on to win six Oscars, including one for best picture. Another upstart distributor, Aviron Pictures, had a slightly better weekend. Despite having less promotional thunder, “Kidnap,” a thriller starring Halle Berry, took in about $10.2 million, according to comScore, which compiles box office data. Aviron, founded by the longtime indie film executive David Dinerstein, paid about $3 million for distribution rights to “Kidnap,” which was independently financed for about $20 million. Also of note: “Wind River,” directed and written by Taylor Sheridan (“Hell or High Water”), collected $164,167 in four theaters for the Weinstein Company, one of the best limited-release results of the year. But “An Inconvenient Sequel: Truth to Power” (Paramount) struggled. That documentary expanded to 180 locations in its second weekend and took in about $900,000. To compare, “An Inconvenient Truth” managed $1.4 million in its second weekend in 2006 — in only 77 theaters.